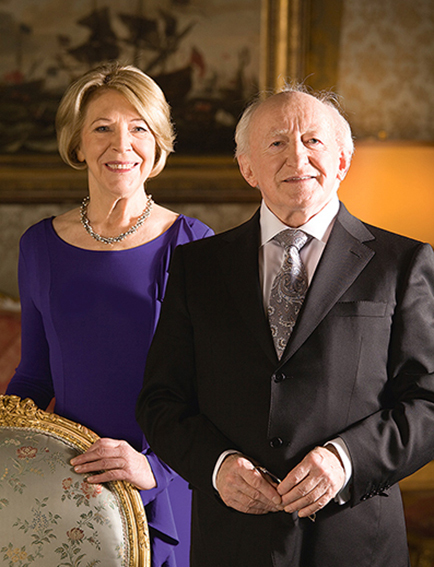 Mayo International Choral Festival are delighted to announce the attendance of The President of Ireland Michael D. Higgins and his wife Sabina Higgins at the Concert For Peace in the newly refurbished Knock Basilica on Saturday May 14th. The unprecedented scale of such a concert in this venue will see close to 200 artists perform on the night, all presented by lauded broadcaster, RTÉ Lyric FM’s Liz Nolan. Conductor extraordinaire David Brophy brings his impressive experience to proceedings, conducting this special event, which is in Association with the Western Development Commission and the Mayo Clinic.